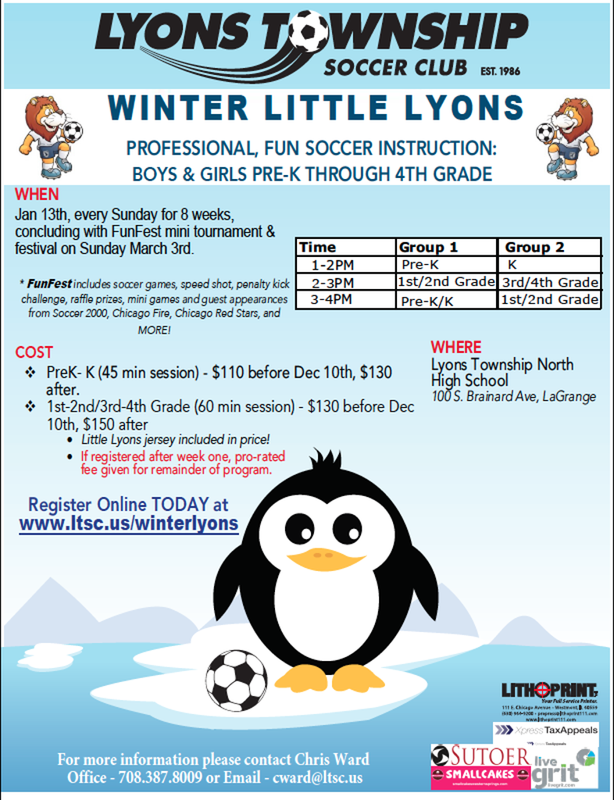 WINTER LITTLE LYONS 2019 (Formerly Winter Academy) EARLY BIRD REGISTRATION NOW OPEN! Here children will continue learning the game of soccer in a fun and innovative environment. Our professional coaching staff follow a carefully constructed curriculum designed to not only teach the right technical soccer skills but increase motor skill development, fitness, and above all else make sure the players have fun! Your child will not experience long lines and repetitive drills but consistent movement, fun activities, and an all around positive developmental environment. The Winter Little Lyons is divided into various 60 minute sessions based on school grade level: PreK-4th Grade, so your child(ren) will be learning and playing along side other children their age and developmental skill level. Our outstanding coaching staff will be highly engaged in each session and with your child(ren) as each one brings a unique and positive attitude to each and every session. We put the children first in everything we do from our curriculum development to planning the training sessions and games.